A fantastic way to involve your primary and secondary students in Australia's history. 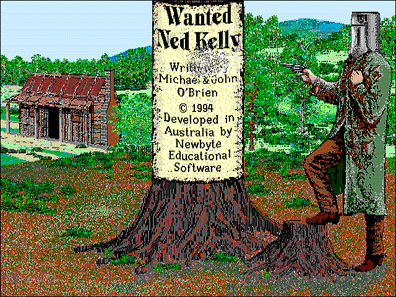 This adventure simulation provides your students with a wealth of opportunities to discover the truth about Ned Kelly and his notorious Kelly Gang. The program was designed in a school use version and a single private use version. Discover the facts - first hand from the people who lived during the times. The school version has an outstanding manual, full of blackline masters and exercises, is a major feature of this package.